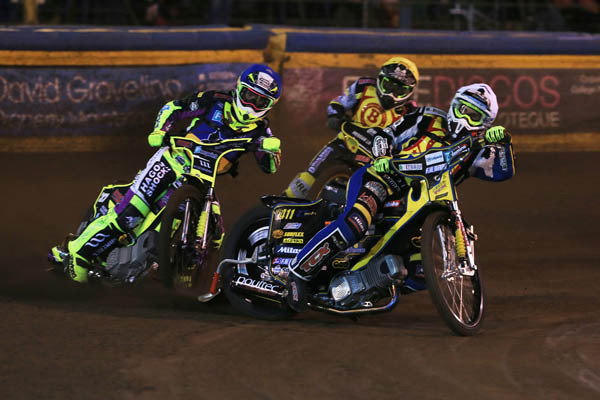 With a top speed of around 80mph, speedway bikes have no brakes, just one fixed gear, a clutch and 500cc engines which run on methanol fuel. In power to weight ratio, a speedway bike can accelerate from 0-60 mph, faster than a Formula 1 car. 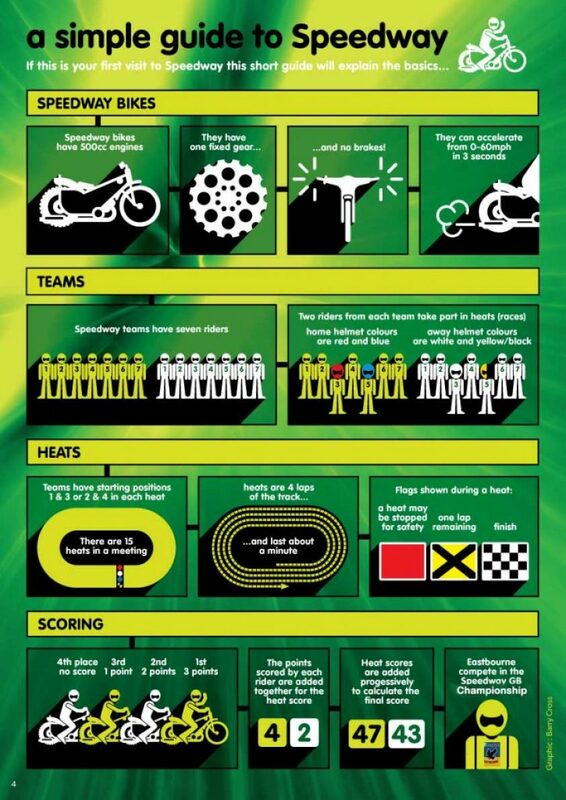 Typical Speedway league racing is run between two teams over 15 heats (races) which each consist of four laps. Each team has 7 riders with 2 riders from each team taking part in each heat with a simple objective – to beat the opposition and get to the chequered flag first! 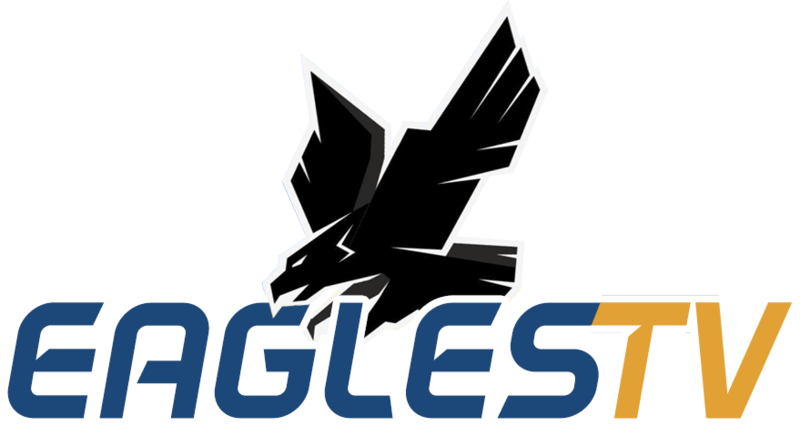 The Eagles riders are identified by red and blue helmet colours and the away team by White and Yellow helmet colours. Our infographic below explains the basics. 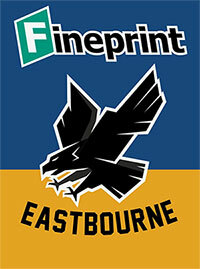 Click on the image below to learn all about a night at Arlington Stadium and fast and furious Championship Speedway action with the Eastbourne Eagles!